There is no better way to kill boredom than turning on your iPhone or iPad and enjoying your favorite online multiplayer games . The App Store offers a wide selection of online multiplayer games, however, not all of them are easy to find ... We wanted to provide you with a list of very interesting games, and all of them are free. 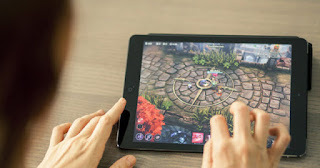 This is where we come in, as this time we will recommend a fabulous list of online multiplayer games for iPhone, iPad and iPod touch . We have included games of all categories! Asphalt 8 is one of the most popular racing games in the iOS App Store. In its multiplayer mode you can face up to 12 opponents . A lot of speed, overtaking vertigo and incredible stunts. Clash Royale is a turn-based combat game in which selecting your warriors using a good strategy will be a very important element in each game. In Call of Mini: Double Shot you will face hordes and hordes of zombies, monsters and giant creatures. It is really entertaining, has more than 25 different weapons, 35 challenges and many scenarios available . It has a cooperative online multiplayer mode and a one-on-one mode. 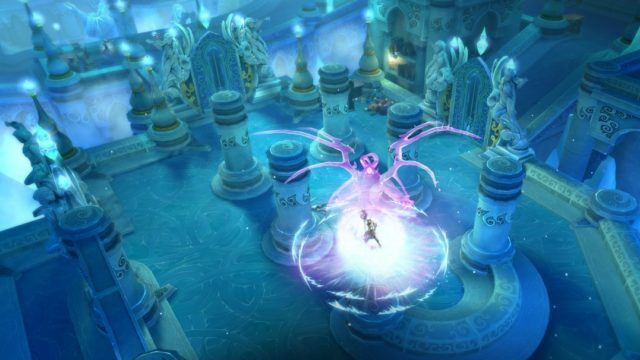 Dungeon Hunter 5 is an RPG game with spectacular graphics in which you can participate in very intense cooperative multiplayer battles . Without a doubt, a game to keep in mind. If you like MOBA type games, Vainglory will be your favorite. It has 4 different modes to participate in online multiplayer games and all kinds of characters and abilities. We could not finish the collection of multiplayer online games for iPhone and iPad without including a sports game ... and FIFA is the best you can find in the iOS App Store. Create your Ultimate Team and participate in leagues against players around the world.